Warning: Fun Side Project Ahead! 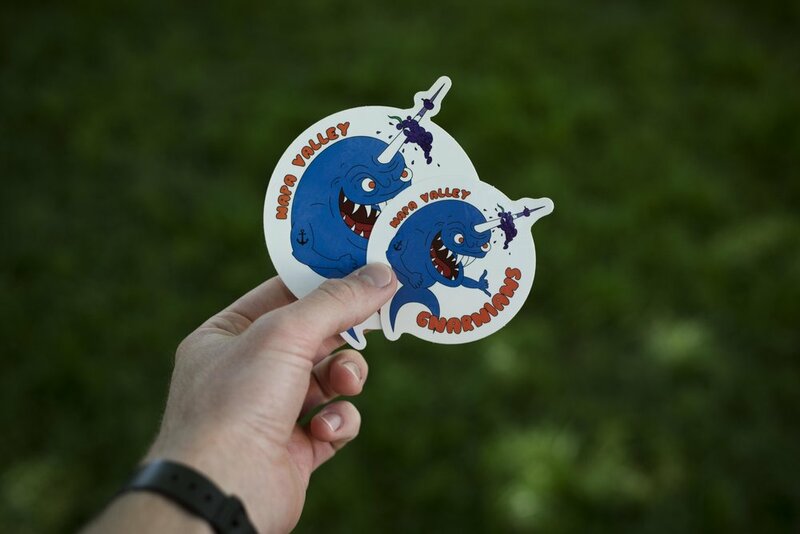 A few weeks ago, my Fisher Hall desk neighbor, Drew, came to me with a fantastic proposition; design a logo for his group of running buddies who call themselves The Napa Valley Gnarnians. Drew and his pals are quite incredible at what they do. He's won 100 mile races, competed with professionally sponsored athletes in 50 mile races, and climbs some of the sendiest routes in the area. Those races, I should mention, are running races...with his feet. There's been times where he's crushed out a marathon distance as training and still made it to church on time. Needless to say, I think some of these superhuman feats allow for the term Gnarnians (derived from gnarly) to be used for these guys. He gave me some sketches of what he had in mind and I rendered it and worked the text in. Yes, it's somewhere between elementary and grotesque but we thought it fit the vibe pretty well. Anyway, we ordered stickers and had the logo printed on a few pair of running shorts for the boys. We passed out the 250 stickers (yes, some ended up in the Atlas up at Walla Walla University) and started seeing it pop up on random water bottles, cars, and laptops. 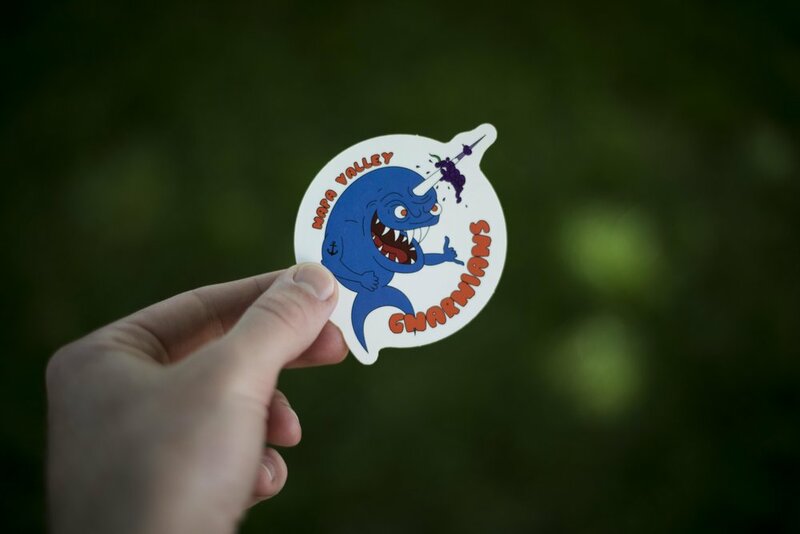 Many have been stoked to have a free sticker but they ask, 'what's a Gnarnian?' I'll answer that question by quoting Drew; "Anyone can be a Gnarnian!" There's no requirements. You don't even have to live in the Napa Valley. It's a vibe. It's an attitude. It's the passion for going out, doing something new, and pushing farther than before. Rob Andrew, another Gnarnian, summed it up with a pre-run statement the other week, "I just wanna go far and suffer a little!" Who knows...maybe we'll make shirts if enough people want them.